SHACC received a donation of 4 large bins of vintage surf trunks, etc. from SHACC supporter, Randy Hild. 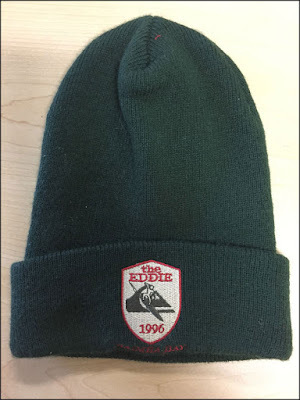 This beanie from the 1996 Eddie contest is just one of the really cool amazing items.